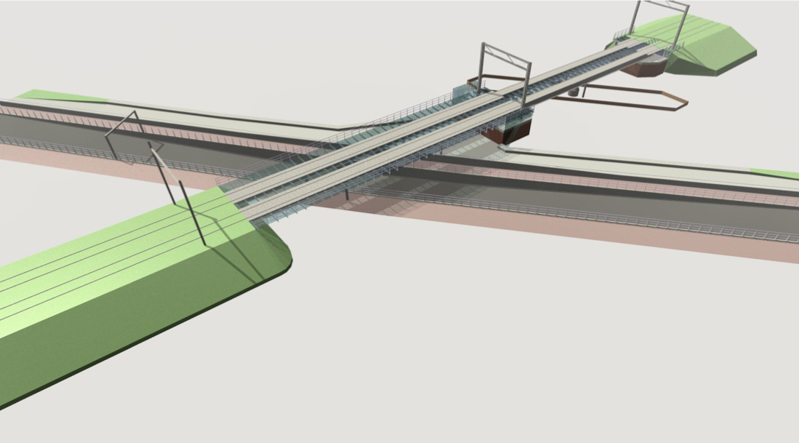 In Akkrum it was decided to raise the existing railway to a higher level, and extend and reuse the existing rotating bridge. By doing so the Provence of Friesland could save considerable budget and avoid build a separate canal around the village. 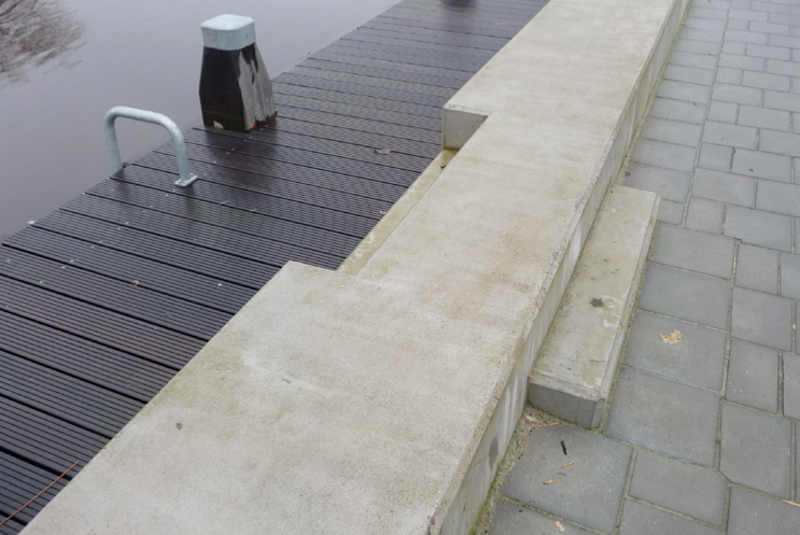 The clear passage for boats was raised to 3,5m. So 80% of the boats have a clear passage and this was considered efficient. The other 20 % would have to wait for bridge openings. In raising the tracks an existing railroad crossing is removed and replaced with a passage way under the tracks. In architectural design for the bridge a few consideration are of major importance. First we tried to remove the visual border, separating east from west. To achieve this we designed the bridge as flat as possible. The passageway was conceived as a large inclining plane, opening the site to a larger perspective. Thus the human perspective remains as open and clear as possible. 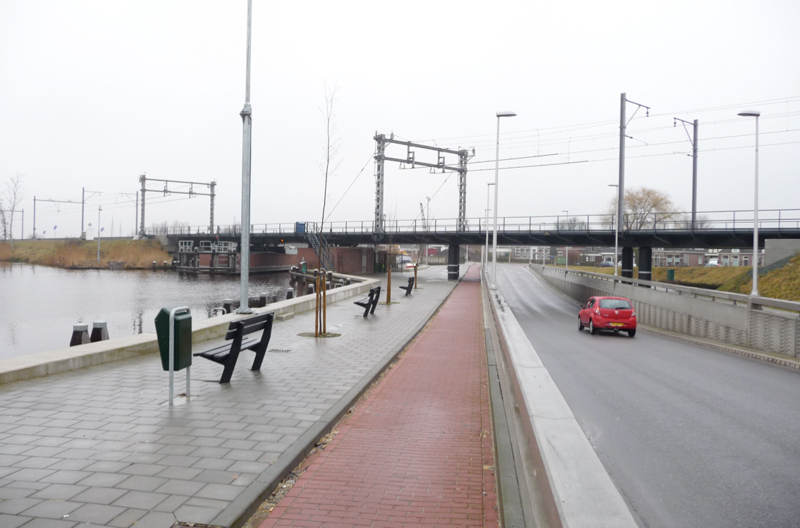 Secondly we combined the pedestrian, cycle and quay routing into one, integrating its functions. Transparency of the bridge is improved by using blinds which leave room for the light to enter deep into the project. 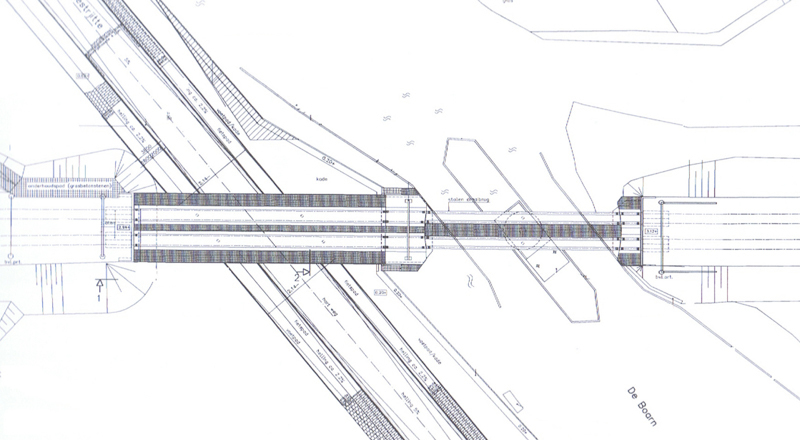 Also the tracks ar separated on two bridges, leaving more space for the light. 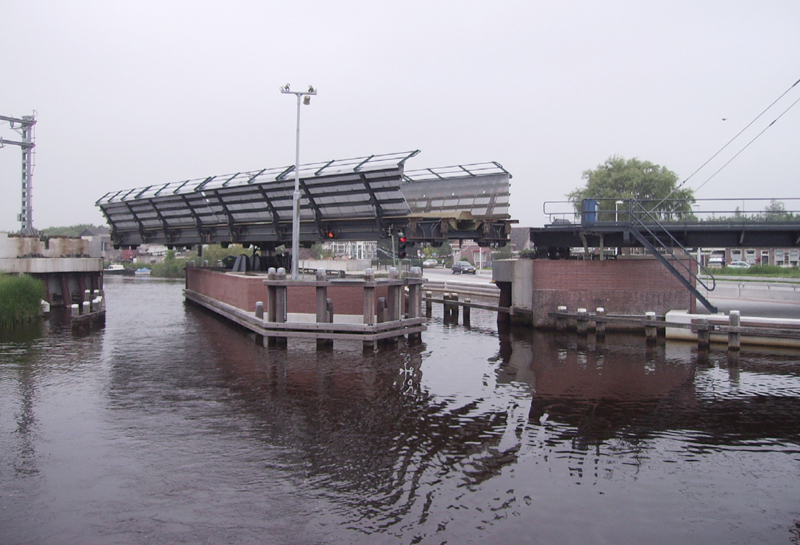 The bridge is supported by narrow steel columns.